Construction projects come with a wide range of noises. Demolition, jackhammers, shouting people—loud noises during development can cause hearing problems for workers. As such, Noise Monitoring has become a vital part of occupational health guidelines in Australia. Monitoring and controlling noise can be a confusing process. We’ll go through some of the most common questions about noise monitoring to help you understand why it’s crucial for your project. Why should I care about Noise Monitoring? Excessive noise can cause a few problems. The most primary problem regards occupational hazards for workers. 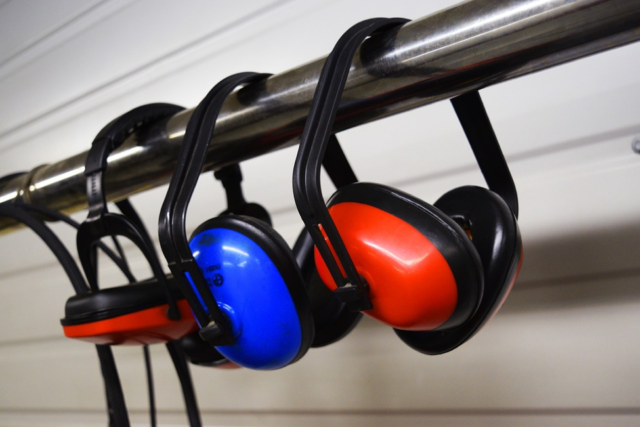 Loud noise from construction can cause hearing loss for workers. This hearing loss could be sudden or gradual. Many employees don’t know they’ve been affected by the loud noises until many years after the construction project. Up to 75% of construction workers can develop hearing loss or tinnitus (ringing in the ears) as a result of uncontrolled noise during a development project. Hearing loss is often temporary at first and may return in twenty-four to forty-eight hours, but the effects will become permanent over time. Effective noise monitoring can also alleviate other concerns are not related to workers’ health. The vibrations caused my loud noises can lead to complications in your building’s foundation. Problems also arise when the development is in an urban setting. Noise complaints from neighbours can impact the timeline of your building’s construction and cause unnecessary stress and tension. How is noise measured in construction? Measuring noise isn’t as simple as setting up a smartphone recording. Specialised noise monitoring equipment is used to measure the sound pressure in the air and assess noise exposure. According to the National Work Health and Safety Regulations, noise exposure in the workplace must be remain under 85 dB(A) with an L.C. peak at 140 dB(C). Your construction site is louder than busy traffic in a city. Workers must raise their voice to communicate with someone 1 meter away. Workers regularly raise the volume of their radios past average levels after a workday. Employees experience difficulties hearing in the years following the project. What is a noise survey? To determine if your workplace is within noise guidelines, a noise survey will be completed to measure the noise pollution of your project. This noise survey helps to assess which spots within your development project are most likely to expose employees to harmful noise levels, identify the machines that emit harmful levels of noise, and propose options for noise control. How can I set up a program for noise monitoring? Partnering with the noise experts at SERS is a crucial step towards keeping your noise levels within safe standards. Many developments in urban areas must submit a thorough noise monitoring plan prior to even beginning a project. Our team at SERS will work with you to create a comprehensive noise management plan according to your project’s needs. Our noise monitoring program will include noise and vibration monitoring systems. Our advanced equipment will ensure the noise and vibration pollution will remain within the safe levels established by national regulatory guidelines. Part of the noise monitoring program is the establishment of a noise and vibration management plan. This plan will outline the process for reducing and monitoring noise as well as detailing the individual responsibilities of all partners in the noise monitoring system. If the noise or vibration pollution of your project ever exceeds national guidelines, authorised personnel will receive a real-time alert. They can then implement the response outlined in the noise and vibration management plan to ensure everyone stays safe. Noise management is easy with SERS. Contact our customer service team today to learn about how SERS can help you keep your workplace safe!